You love the look of your new wooden fence. The trouble with wood though is that new look can quickly look drab if you do not take care of it properly. So how can you keep your new wood fencing looking fresh? Know what kind of maintenance is required and stay abreast of any problems. Wooden fences are very vulnerable to the weather. 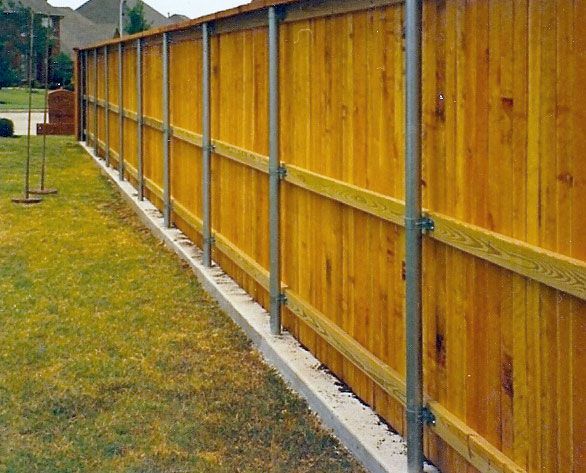 Moisture is absorbed into fence posts, rails and pickets, which can warp or even rot the wood. The best way to protect your new wooden fencing is to paint or stain it every few years. This may seem like a lot of work but will save you thousands of dollars in fence replacement later on. While using a sprayer may seem faster, it is not the most efficient way of covering fencing. A roller or brush keeps the mess down and also allows you to get into all of those nooks and crannies. Dirt and grime can make a wooden fence look old and tired very quickly. A simple cleaning, however, can bring back its luster and make it appear brand new again. General soap and water and a scrub brush is an efficient way to clean a wooden fence. However, that can be a bit time-consuming. A better option may be to try power washing it. Just be sure to keep the psi at 1,000 or lower to avoid pitting the wood. Adding some deck cleaner to the water will help to lift dirt and grime and make your fence look great. If you notice mold or mildew on any of the pickets or rails, spray the area with a mold cleaner and wipe clean. Termite Control: termites can ruin a fence quickly. Redwood, cedar, pine, and fir are easily vulnerable to these wood-eating insects. Be sure to treat your fence regularly to keep termites away. Caulk the Base: moisture that is able to seep into the wood from the base (where the wood and concrete meet) can rot the post. Simply add some caulk to the space where the wood and concrete meet and you can safeguard the post against this problem. Keep Moisture Away: wood rots when it comes in contact with water. Safeguard your fence by keeping sprinklers turned away. Also, don’t plant trees or shrubs near fencing, since vines and roots can hold water, which induces rot. Fix Problems Right Away: check your fence periodically for cracks, chips, and breaks. Replace broken posts and rails and boards. There is nothing like the look of a new wooden fence. Remember, the better you care for your fence, the better it will look.